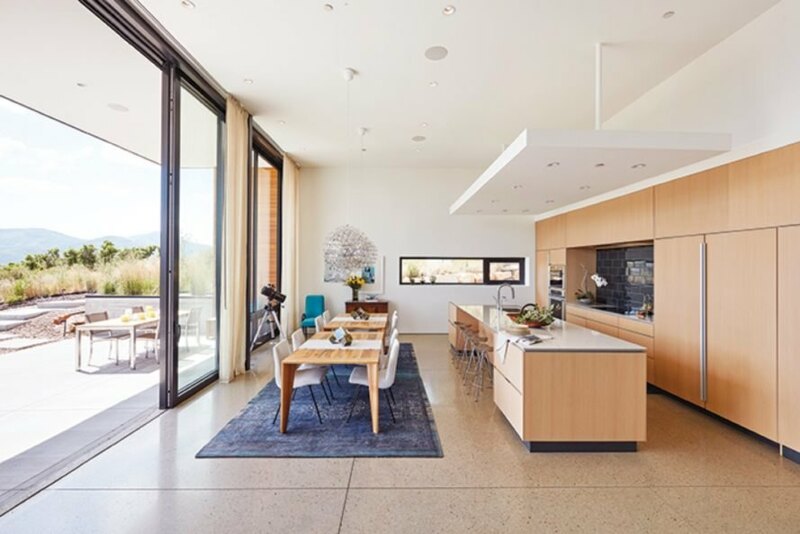 Designed to “celebrate Utah’s brilliant light and raw beauty,” this LEED Gold-certified family home in Utah embraces indoor-outdoor living. 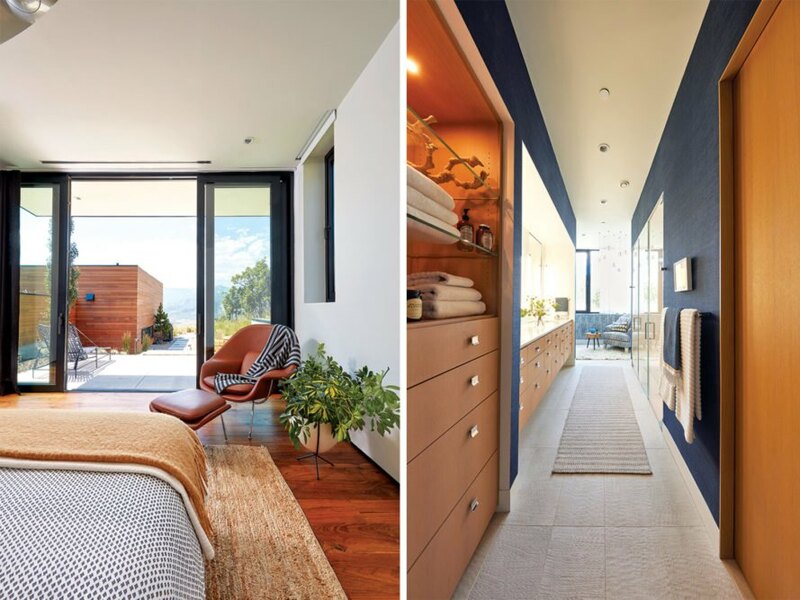 Salt Lake City-based Sparano + Mooney Architecture crafted the home for clients who sought the perfect mountain home in Park City, Utah. Working in step with interior designer Julie Chahine of J Squared interior design and clients who had a clear idea of what they wanted, the architects pulled together a sustainable and contemporary dwelling that works in concert with the landscape inside and out. 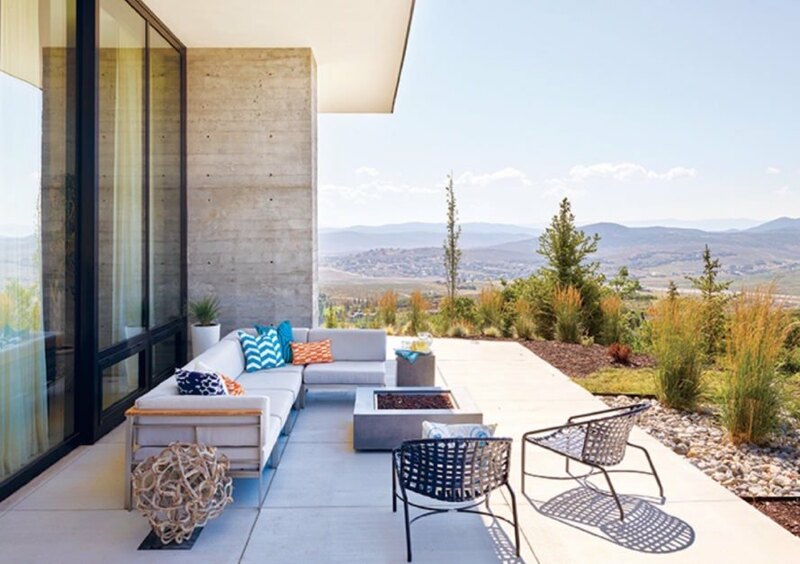 Perched at a high elevation overlooking views of Park City and the Utah Winter Olympic Park, the two-story Park City Modern Residence was designed with a sensitive approach to the landscape. The site-specific design and division of the public areas from the private zones were informed by the existing topography. Outdoor terraces offer a seamless connection to the outdoors with immediate access from the master suite and living room; an accessible green roof planted with native flora also offers stellar views of a nearby golf course. 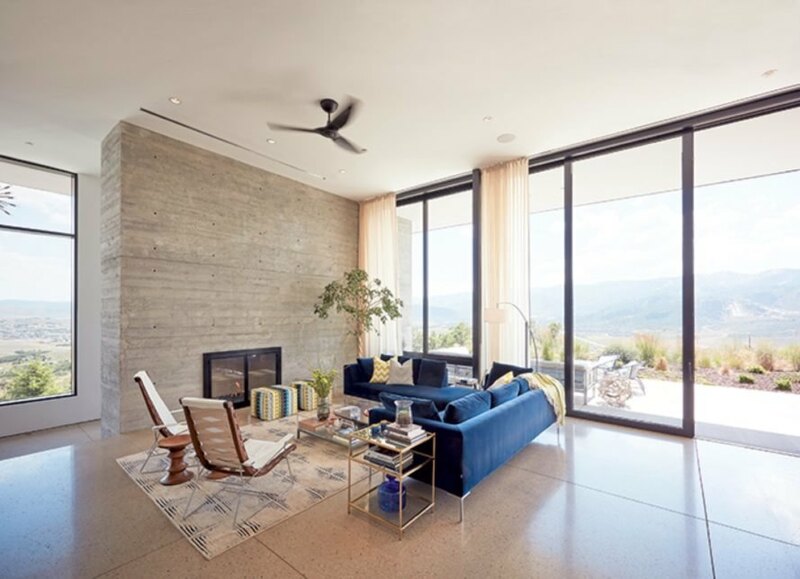 Certified LEED Gold, the 5,500-square-foot abode draws renewable energy from a ground-source heat pump and keeps its energy demands low with high performance, energy-efficient building systems. Passive solar orientation also helps the home keep comfortably cool in the summer months and retains heat and access to natural light in winter. 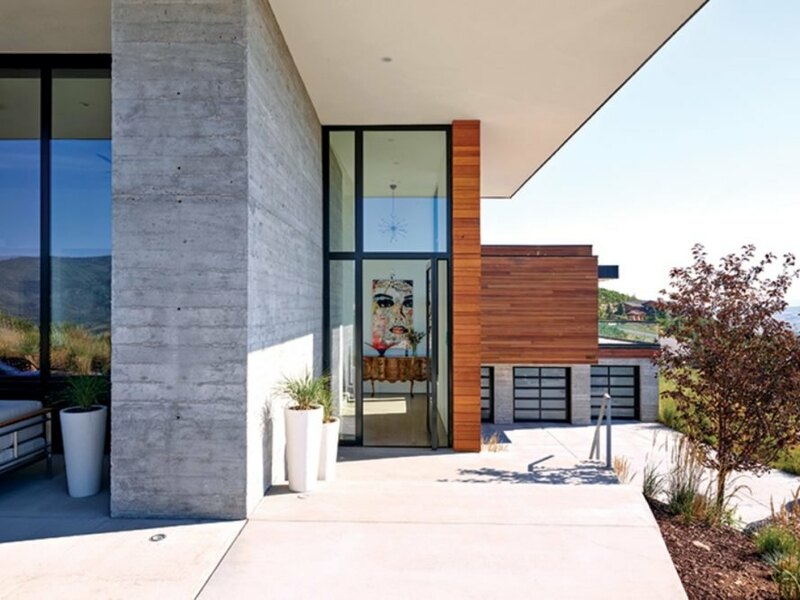 Sparano + Mooney Architecture crafted this modern home for clients who wanted to embrace Utah's beauty. The residence is made to connect the homeowners with nature. Glass doors and full-height glazing throughout the home allow for indoor-outdoor living. The home is also highly energy-efficient, earning it LEED Gold certification. A spacious kitchen and dining area are ideal for entertaining. The interior is as serene as the mountainous landscape that surrounds the abode. Cozy outdoor patios allow residents to relax and enjoy the mountain vistas.